Sven Leonard Erixson, (1899-1970) Ascribed. Sign lower right with year -53 (1953) the sign is dauby written with a brush but can be read. The name of the painting written on the back is Sandtaget which means gravel pit. 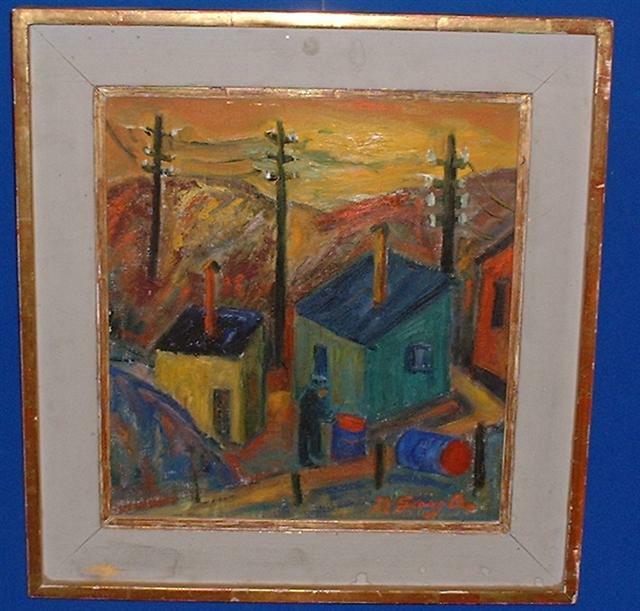 Erixon used X as his monogramm and he is one of the most well known painters from Sweden in the 20th century, in the 1980 -1990ths he was on the front covers to many of the fine auctioneers catalogues in Stockholm and sold for high amounts. 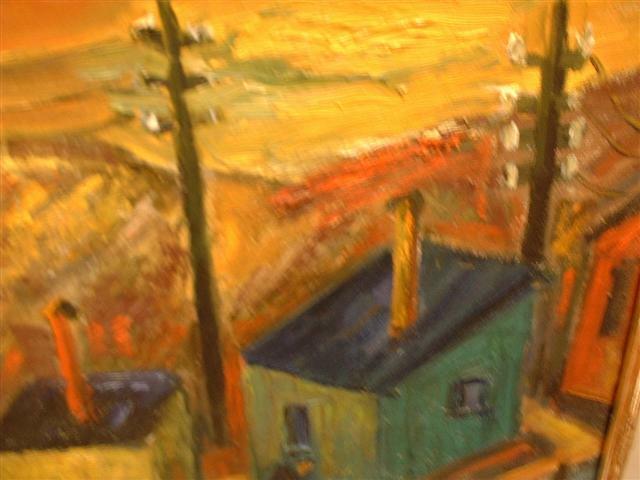 In this oil painting one can notice several of Xets favourite motives that are coming back again and again in his paintings and litographs: for instance telegraph poles and wires, large tins metal containers, human beings with headgear. THIS ARTIST HAS SOLD FOR OVER DOUBLE THE PRICE IN STOCKHOLM! 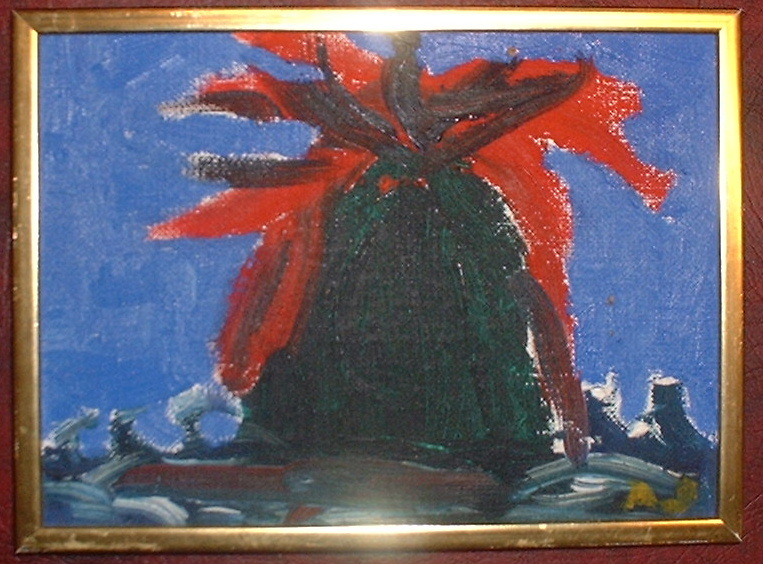 Notify me of updates to Xet,(1899-1970) Ascribed oil painting!